LOWELL, Mass. -- Two years after undergoing Tommy John surgery, 20-year-old Josh Pennington is finally feeling like his right arm is back to full strength. 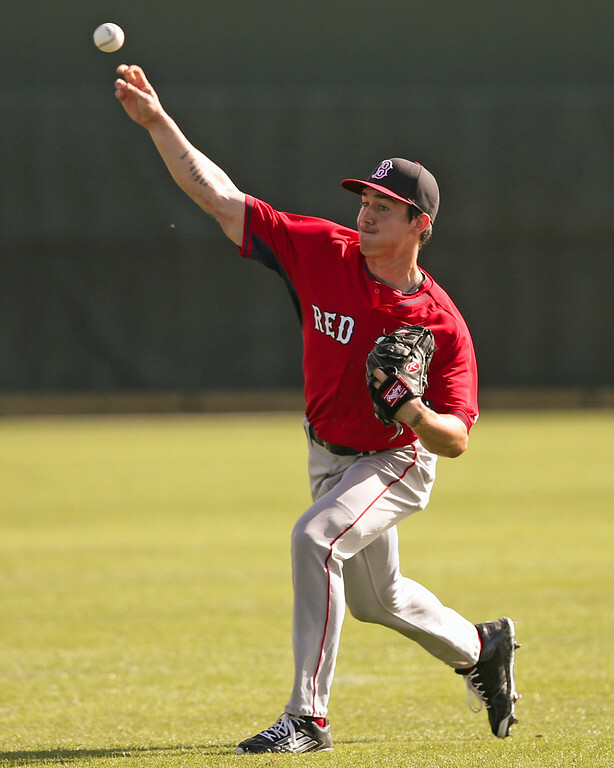 Though he faced adversity during his start Sunday evening in Lowell, Pennington showed off impressive poise, wiggling out of multiple jams, along with the impressive arm that drew Boston’s interest despite knowing that he would require surgery going into the 2014 draft. 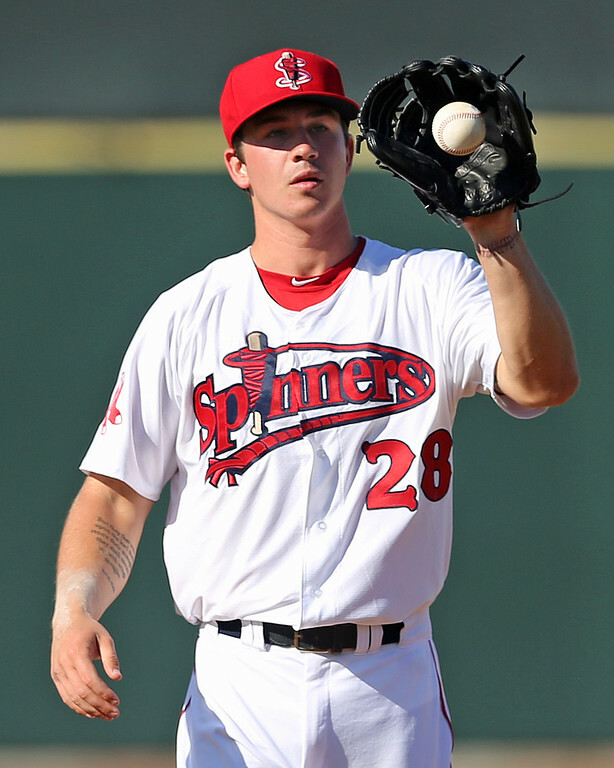 Although Pennington had success in a limited capacity in the GCL last season, he admitted that after undergoing Tommy John surgery in June 2014 he was still working his way back to full strength during the season. This year, Pennington feels like he can really let it fly without hesitation, and it represents the end of a long rehab process. Sunday night, Pennington demonstrated why the team was willing to invest in him, even knowing the long road that lay ahead for him at the time of the draft. He showed a live arm—particularly a strong fastball—but perhaps most impressive was his poise on the mound. In all, he threw five innings, allowing just one run on two hits to go along with three strikeouts, but most of his troubles resulted from the four free passes allowed. He threw 83 pitches, 43 for strikes, with some taxing innings mixed in. In five starts this season, he has a 2.08 ERA, 1.11 WHIP, and 22 strikeouts while walking 11 in 21 2/3 innings. He is already just 1/3 of an inning shy of his innings total from last year, when the organization limited him over seven appearances. In both the second and third inning Sunday, Pennington found himself in bases loaded jams with less than two outs, managing to escape with just the one run scored on a sacrifice fly. When the bases were loaded with no outs in the second, the bullpen began to warm, but even after escaping those jams, Pennington came back and slammed the door in the fourth and fifth with quick 1-2-3 innings. Close to 75 percent of his pitches were fastballs, an the explosive offering that clocked in at 94-97 mph and topped out at 99 in the outing. While he did control the pitch well at times, all of his walks came on fastballs, which is not surprising considering his proclivity towards using it. However, early in the game especially, it looked like he was occasionally overthrowing the heater. Despite the mistakes though, there is no doubt the pitch is currently his bread and butter. Besides his confidence in it, the heavy fastball usage can also be attributed to getting behind in counts. He said he was looking to use his secondary pitches more often, but ordinarily uses those when he has the advantage in the count. While his high-70s curveball easily has been his best secondary pitch in his early career, it was obvious from the start of the game that it was not working for him in the outing. The SoxProspects.com scouting team views the curveball as a pitch with average-to-better potential, while the changeup has looked more like a below-average pitch that may be reduced to a show-me pitch in a future bullpen role. However, there were encouraging signs for that third pitch in the outing, and it is a pitch he knows needs attention. He was able to induce four swing-and-misses with the pitch, which was more than the total number of times he threw it in a previous outing viewed by our scouting staff during which he threw two total. While it still was inconsistent, it showed a bit more potential than in past viewings, at 88-90 mph with late sink when it was at its best. The change will be an important pitch to determining whether he has potential to remain a starter into the upper minors or will move to the bullpen where he could air out the fastball. After a long rehab process though, Pennington can worry about such decisions down the line. For now, he is just excited to be enjoying the game without restrictions for the first time as a professional. There is still a long road in front of him to climb up the minor league ranks, but he will take that grind over the repetitive strength-and-conditioning grind of rehab. Photo credit: Josh Pennington by Kelly O'Connor. SoxProspects.com Director of Scouting Ian Cundall contributed to this story. Follow him on Twitter @IanCundall.